While much of the country is still reeling from recent economic woes, one state in the country has maintained an equilibrium of which other states can only dream. Texas, big in size and home to a diversified and growing economy, is continuing to set the pace for recovery in the country, and is drawing in new businesses and new residents even as other communities nationwide are losing population and jobs. According to a recent statistic from the Federal Reserve Bank of Dallas, Texas created 43 percent of the jobs in the country from June 2009 to May 2011. Yep, that’s right: this solid southerly state provided nearly half of all national job growth across that two year span. It’s no wonder then, that the Texas economic engine continues to grow, and is attracting new residents from around the country and around the world. With unemployment numbers well below the national average, and continued hiring in dynamic sectors like energy, agriculture and food production, migrants both domestic and international are increasingly viewing Texas as a likely place to put down roots. In fact, job growth and population growth are expected to continue to grow in tandem over the next twenty years, at least according to data released by Texas A&M University’s Real Estate Center. According to the 2008 report, the urban “Central Triangle” of Texas—which includes the Dallas-Ft. Worth, Houston, Austin and San Antonio metropolitan areas—is currently home to 80 percent of Texans, and will continue to be the key area of economic and population growth in the state for the foreseeable future. One great thing for those moving to Texas: this state offers far more than just stable employment and a burgeoning business scene. While the Texas housing market hasn’t been fully-immune to the recent real estate downturn, population gains and strong employment have helped some Texas communities find pricing stability, while still maintaining some of the most affordable housing in the country. 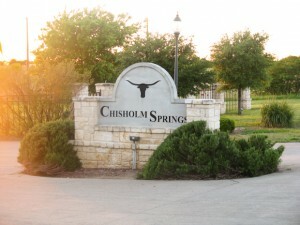 The 2009 American Community Survey from the U.S. Census Bureau (the latest available) ranked Texas as the sixth-most affordable state in the nation, and Arlington, Texas was recently ranked by real estate website Trulia as the third-most affordable city in the nation, when comparing prices of home rental against those of home purchase. Thousands of new Texas residents are exploring and discovering the economic and personal benefits of living in Texas—and many of them are beginning their new lives in LGI Homes communities. 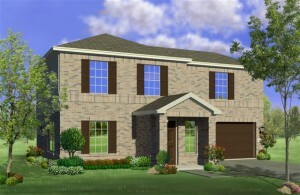 As one of the largest new home builders in the region, LGI Homes has been buoyed by the relative strength of Texas’ real estate market, and has continued to open new home communities that offer a sought-after blend of extra-urban living, building quality, exceptional affordability and convenient access to big-city amenities. You can learn more about what Texas—and LGI Homes—has to offer, by visiting any one of these communities for a new home tour. If you’re afraid that your outdoor space is too small to entertain, remember that unlike the indoors, outdoor rooms tend to be intimate and quiet spaces. A few chairs artfully arranged with potted plants and small side tables can compose one of the most elegant—and space-efficient—outdoor rooms. Outdoor rooms should pull people out from inside the house. Comfortable seating, a place to put a book and drink, some color from flowers and plants—every need and every sense should be appealed to. If your backyard space is large enough, you can break your yard into a number of smaller outdoor rooms, each with its own vantage point and purpose. A single chair and table under a shady tree can be placed across the yard from banquette seats by an outdoor fire pit, while a swinging seat by a small fountain can beckon from the back fence. Keeping the rooms small and focused encourages guests to wander from room to room, enjoying the variety of flowers and plants you have in your yard, and experiencing the special focal points within each space. Don’t forget about flowers and plants! Even if you’re not much of a gardener, your local nursery can help you find low-maintenance plants that can add beauty and dimension to your backyard. In particular, look for easy-growing plants that attract bees or birds, which can liven up your yard and increase your enjoyment of the outdoor room. Even small container plantings (easily changed out if one happens to die!) 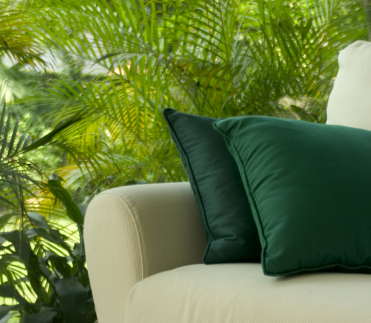 are enough to add color, perfume and motion to your landscape, which make your room more pleasant for visitors. Whatever the size of your yard, whatever your budget, it’s easy to increase your liveable square footage and create an outdoor area where guests and residents alike can enjoy food, drink, conversation and nature. After all, isn’t that what summertime is all about? One of the most popular home financing vehicles, the FHA mortgage is a cornerstone of the housing industry, and one of the most popular options used by LGI Homes homebuyers. In this article, we’re going to talk in-depth about the FHA home financing program: what it is, how it works, and how it can help you achieve your dream of homeownership. FHA is the acronym for the Federal Housing Administration, which is a division of the well-known Department of Housing and Urban Development (HUD). Initiated in the 1930s, the FHA works with entities throughout housing industry, to sustain quality housing, and to ensure that all Americans have access to financing for the purchase of a home. 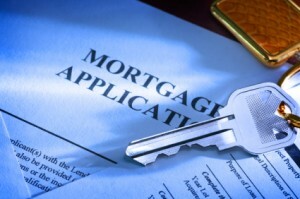 How does the FHA help homebuyers? Although the FHA doesn’t directly loan money to borrowers, it is an integral part of the home purchase process for many buyers. As an insurer of mortgages, the FHA takes on the responsibility of reimbursement if a borrower defaults upon (fails to pay back) a loan. This insurance allows lenders to make more loans to more borrowers, regardless of perceived risk. In other words, thanks to the FHA, borrowing money to buy a home is less expensive and easier to obtain than it otherwise might be for millions of Americans. How can the FHA help me? One of the hallmarks of an FHA-backed mortgage, besides its more reasonable fees and greater financing options, is that it allows for low-to-no downpayments upon purchase. FHA loans can also allow you to borrow money to pay for closing costs (which are typically paid up-front, at the time of purchase), making it easier to purchase a home without years of cumbersome saving for a downpayment and closing costs. This allows families who can easily afford a mortgage’s monthly payments to purchase a home without having to wait years until they can save up enough to buy their home. Can anyone use an FHA-backed loan to buy a home? While FHA guidelines for qualification are very generous, there are some people who will not meet the necessary qualifications for borrowing with FHA. LGI Homes’ preferred lenders are only too happy to review your financial situation with you, to help you determine whether or not you meet the qualifications for an FHA-backed loan. To learn more about FHA, and to be put in touch with an LGI Homes preferred lender, you can visit your nearby LGI Homes community, or contact us online. One of the questions raised most often by first-time homebuyers is, “How will owning a home affect my taxes?” While everyone’s tax situation is different, the answer is mostly good news: owning a home is one of the easiest ways to realize tax benefits, and some of those benefits continue for the duration of your mortgage repayment, and beyond! 1. The mortgage interest deduction is the primary way in which homeownership can benefit your bottom line come tax-time. As you may well be aware, this tax rule allows people who pay a mortgage on their primary residence to deduct the full value of that interest from their tax liabilities. Because the monthly mortgage payment in the earliest years after purchase go primarily toward interest (rather than the principle amount owed), this can represent a substantial tax savings across the first years of homeownership. 2. While closing costs are (unfortunately) generally not tax deductible, some aspects of those costs—those associated with your mortgage—may be tax deductible. One of the most common fees that can be tax deductible is any cost associated with the lowering of your mortgage interest rate. The fee may be called a “loan origination fee” or a “discount fee” in your settlement papers; terminology varies from lender to lender. The “Good Faith Estimate” paperwork, which clearly spells out the fees and charges associated with your financing, will include specific information regarding any money you paid to decrease your mortgage interest rate. IRS publication 936 has detailed information on both the mortgage interest deduction, and the “origination fee” or “points” tax deduction. You can also ask your lender for clarification on any terms or fees that you don’t fully understand. 3. Finally, there’s the boon of tax-free gains that you receive when you sell your home. As per current capital gains laws, married couples can make up to $500,000 profit on the sale of their principle residence completely tax-free. Single individuals can receive up to $250,000 profit. This means that Uncle Sam doesn’t touch a dime of your proceeds from the sale of your primary home within these limits—you don’t have to buy more property, you don’t have to invest it, you don’t have to follow any convoluted tax filing procedures. That money, which represents the hard-earned equity you grew in your home, is yours 100 percent! As always, everyone’s finances are different, so be sure to consult a professional for tax advice to see what applies to your own tax situation. LGI Homes’ preferred lenders are also happy to answer any questions you may have about mortgage terminology and fees, so feel free to stop by our offices any time to learn more about the financial benefits of buying a brand-new house from LGI Homes. If you’re in the market for a new home, you may well have considered moving out of your current community. Whether your move will take you 10 miles away or 1,000, uprooting yourself from familiar surroundings can be hard, and the choice of where to settle next can be overwhelming. LGI Homes knows this because we’ve served thousands of one-time home buyers who were looking for just the right place to start a new life of homeownership. Over the years, we’ve realized that all great communities have a few things in common, and all communities on your list of potentials should be evaluated against these four key aspects. Housing. If buying a new home is your primary motivation for moving, the quality of the home construction in your target community is going to be of utmost importance. Take time to survey the choices of homes available there—are they mostly used or existing homes? Have they aged well? Been well taken care-of? Will you have the option in this community to consider brand-new homes that include benefits like designer upgrades and the energy efficiency that comes with modern construction techniques? Or will you be tied into existing homes that may require thousands of dollars of repair and renovations? Amenities. 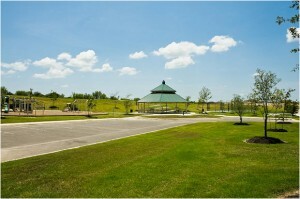 How well is your new community suited to your own lifestyle? Younger families should review the number and quality of parks in any new community, knowing full-well how imperative it can be to have a good park with a quality play-structure within walking distance of your house. Active individuals should consider whether there are maintained sidewalks or pathways where they can walk, ride bikes or run. Many older have few or no amenities that can be enjoyed at the community level, leaving residents car-bound whenever they want to enjoy the outdoors. Location. It’s the triple mantra of real estate: location, location, location. 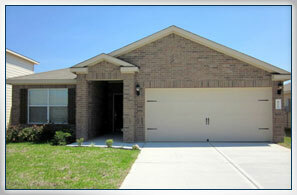 When surveying your new community, think to yourself about what makes it seem appropriate for you and your family. Are you an open-space kind of person who cringes at the crowded city? Are you keen on staying close to quality shopping, dining and entertainment venues? Is proximity to the highway important to you, so that you have direct access to vital transportation corridors? Taking the time to distill what matters most to you about a community’s location, will help you build out the profile of the place you’d most prefer to live. Commute. Finally, there’s the commute. Whether its to work, to school or to soccer practice, the distance and time you will have to spend driving is important in choosing your next place to live. As we mentioned above, even something as simple as how long it takes to get onto the highway can make or break a particular community. Remember, too, that it’s not just about commuting to work. Family, friends and fun are huge parts of our lives as well, so making sure that you’re a reasonable drive away from the places—and people—you’re most likely to visit is not just a wise but a necessary consideration. Yes, choosing a new community requires much thought, much consideration, and a little bit of luck in finding the perfect blend of the things you want most. Of course, we believe that we’ve made choosing a new hometown a bit easier through our affordable and amenity-rich communities throughout Texas—but don’t take our word for it! Why not visit one of LGI Homes’ communities, the builder offers homes for sale in Texas and Arizona, the next time you’re out and about, and see for yourself whether our years of experience have allowed us to build just the sort of place in which you and your family would love to live. While many people feel that integrity and value are the best cases for opting for a new home, some are unsure whether a custom-built or “spec” home would best meet their needs. In this article, we’ll take a closer look at the differences between custom and spec homes, talking in brief about the pros and cons of each. To begin with, let’s define our terms. While used commonly enough in the real estate industry, “spec” is not a term many of our homebuyers have heard before, so if you’re unsure what it means, you’re certainly not alone! A “spec” home is a home constructed by a homebuilder, who is speculating that a buyer will want the home that they have built. Also called “move-in ready” or “inventory” homes, spec homes are generally completed at or just prior to the time of purchase, meaning that buyers can move in as soon as their purchase process is complete. Custom-built homes, on the other hand, are built with the extensive involvement of the home buyer, who will generally complete the home purchase, then have a wait of up to six months before they can move into their new home. Like a spec home, custom-built homes offered by builders in most developments are based upon a pool of pre-selected floor plans, fashioned to the style and physical dimensions of the community and its land lots. Unlike a spec home, construction on these homes is only begun once a buyer is in place. Custom-built homes are ideal for buyers who have a strong sense of what they want, and aren’t afraid to invest both time and money (often in large amounts) to get a home built to their exact specifications. Working with a builder, custom buyers can often adapt floor plans to their specific needs (choosing to include optional bedrooms or special amenities such as lofts or fireplaces), and can make detailed choices about décor such as cabinetry, flooring, paint color and façade details. The amount of work, and often frustration, in building a custom home can be huge; and not being able to “see” a finalized product can make it difficult for some buyers to envision the end result, leaving many disappointed when they see the final home. Spec homes, on the other hand, are optimal for many families, who often want the convenience of a readily-available home, along with the lower cost of builder-selected interior upgrades. The “pro” with a spec home is experience. Builders specializing in move-in ready homes know exactly what their customers want—most have been building for years if not decades—and sales over time have taught them clearly what upgrades and features customers are most drawn to. By constructing homes with these most popular features included, builders are able to pool costs to save buyers money, while still giving them the home of their dreams. And unlike custom homes, buyers of spec homes can see the actual home they will be buying, ensuring that they’re getting exactly what they want. While both spec and custom-built homes are great options, LGI Homes is proud to offer an extensive inventory of move-in ready homes in communities across Texas. Our experience has shown that buyers want feature-rich, well-upgraded homes built with value and affordability in mind. We’ve stuck to that template, and it’s been a successful one, making thousands of home owners glad that they went with a move-in ready home. 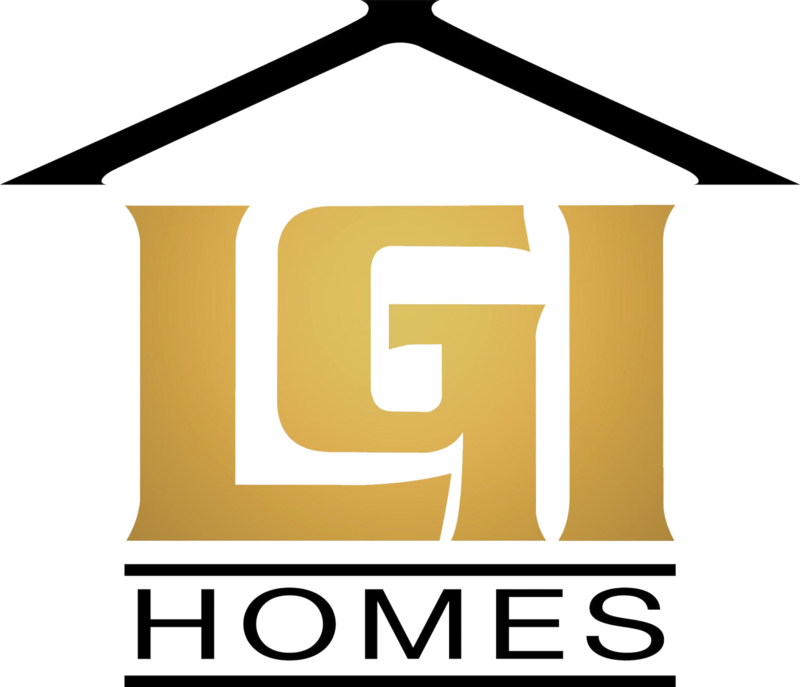 To see what’s available right now in LGI Homes communities, visit the LGI Homes website, where you’ll find move-in ready homes built to suit every family and household.